Christmas is almost here, but some of us may be putting off decorating as we know our cat will just go on one almighty rampage, especially when it comes to the Christmas tree, but worry no more, as Argos has come to our rescue. The retailer is selling ‘half Christmas trees‘, which will keep your cat’s claws far away from low-hanging baubles and also offer loads of extra room for presents and/or activities. Sounds pretty amazing, even though it looks a tad strange. The lush green trees are currently on sale for £33.33, which is down from £50, so if you’re sick and tired of retrieving baubles scattered about the place every morning because of Tiger or Puss, now’s your chance to end all that. The tree comes in green and a ‘snow-covered’ option. 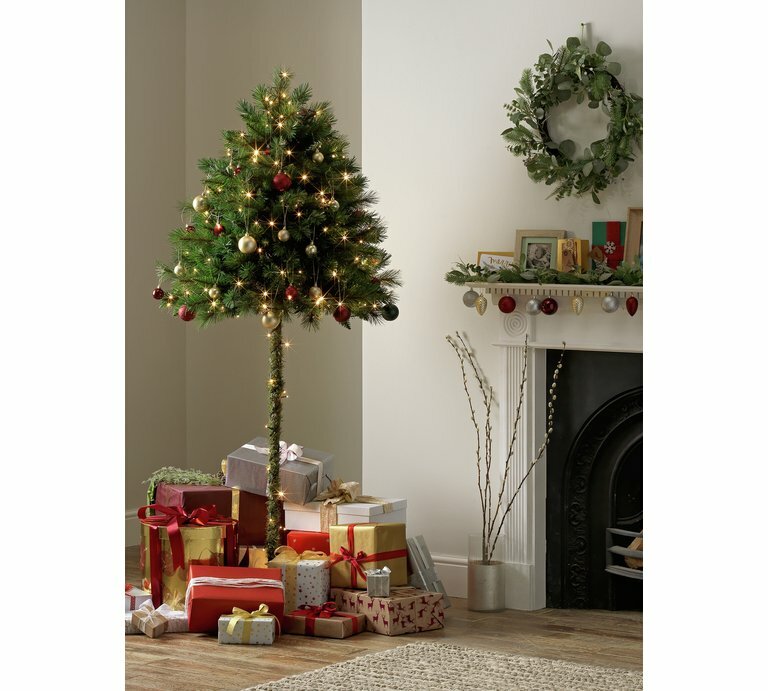 Argos says it is a “stunning realistic looking artificial Christmas tree with snow covered effect and root stand, perfect for any room.” The white-trees cost £37.50, but it is reduces the mayhem, a few quid more, isn’t too bad. The trees are going down a storm with festive shoppers and the snow-covered option boasts an impressive 4.8 stars (out of five) based on 145 reviews. Or if you don’t like the sound of the Argos version, take a look at the offer from Christmas Tree World – they’ve recently designed one of the UK’s first attempts to safeguard trees from precious but infamously nosy felines – the cat-proof Christmas tree. Equal parts experiment, product development and seasonal fun, they’ve included ‘ground-breaking’ features like remote speaks broadcasting the owner’s voice, laser lights, a dog’s bark to distract and entertain. Sadly the price of it is a whoppoing £5K! When they told me about it, I thought it’s an early April Fool’s joke, and I think the folks at Christmas Tree World are having a litle joke, but wouldn’t it be funny if something really did try to buy it!